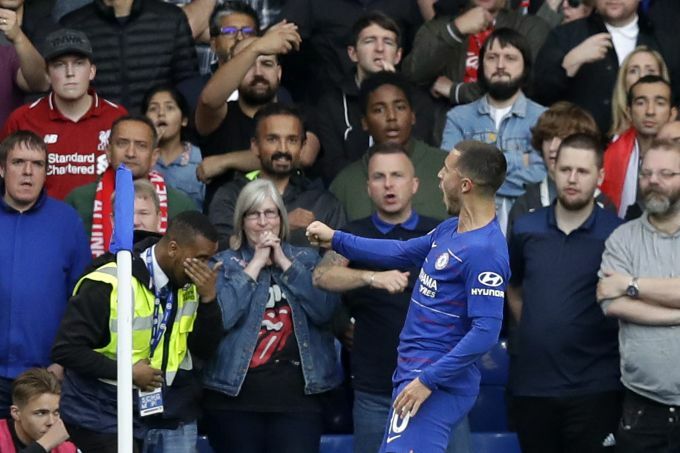 London: Chelsea's Eden Hazard celebrates scoring his side's first goal during the English Premier League soccer match between Chelsea and Liverpool at Stamford Bridge stadium in London, Saturday, Sept. 29, 2018. 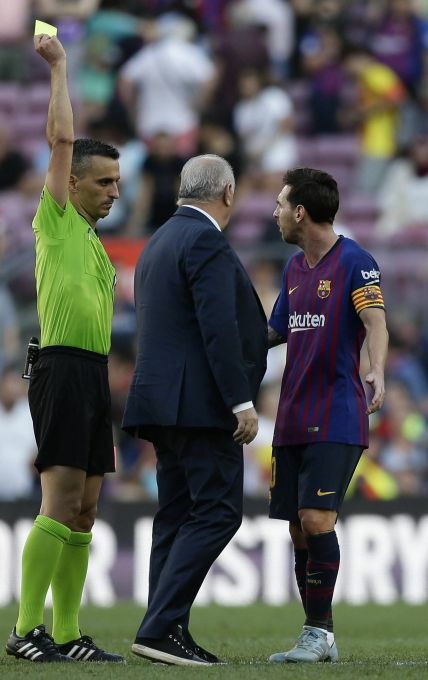 Barcelona: Referee Eduardo Berizzo, left, shows a yellow card to FC Barcelona's Lionel Messi after the Spanish La Liga soccer match between FC Barcelona and Athletic Bilbao at the Camp Nou stadium in Barcelona, Spain, Saturday, Sept. 29, 2018. 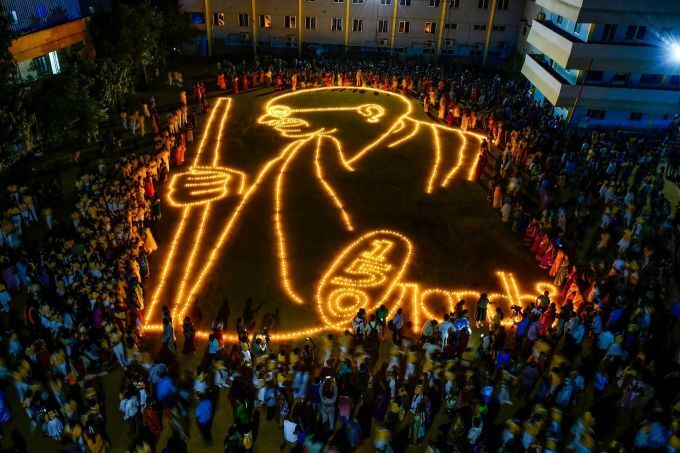 Chennai: Students create a shape of Mahatma Gandhi ahead of 150th Gandhi jayanti celebrations at outskirts of Chennai, on Saturday, Sept. 29, 2018. Nice: Paris Saint Germain's Neymar, top, celebrates with Paris Saint Germain's Angel Di Maria, after scoring his side's first goal, during the League One soccer match between Nice and Paris Saint-Germain at the Allianz Riviera stadium in Nice, southern France, Saturday, Sept. 29, 2018. 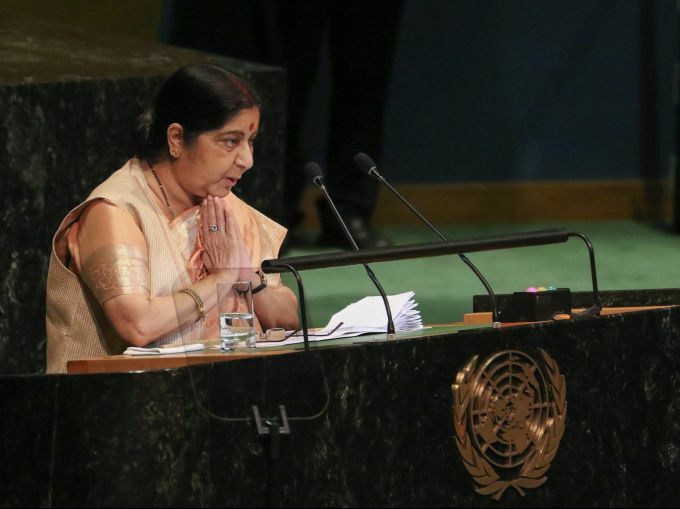 New York : External Affairs Minister Sushma Swaraj addresses the 73rd United Nations General Assembly, at the UN Headquarters, Saturday, Sept 29, 2018.